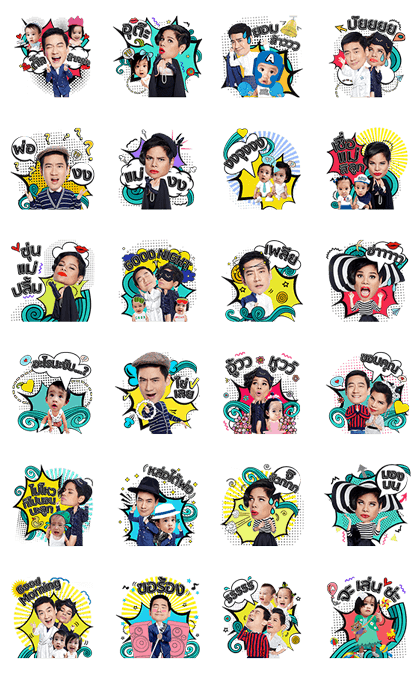 http://www.line-stickers.com/ – Oak Opal and the Twins Line Sticker | Brighten your day with the joyously colorful sticker collection of this much-loved Thai family. This set sends out pure familial happiness, punctuated with a variety of popular catchphrases. There’s Daddy Oak’s “Yes!”, Mommy Opal’s “Trust me,” and of course, an adorable “Ohhooooo! !” from the twins, Aline and Arran!